If Tom Cruise’s insane stunt hanging from a helicopter in “Mission: Impossible — Fallout” freaked you out, you aren’t alone – the film team behind the scenes thought his fall was a fatal one. In the run-up to the release of “Fallout,” there were countless interviews with Cruise and the film’s cast and crew about how the lead star nearly killed himself several times over while shooting his own stunts. And that includes the film’s climatic helicopter chase scene. 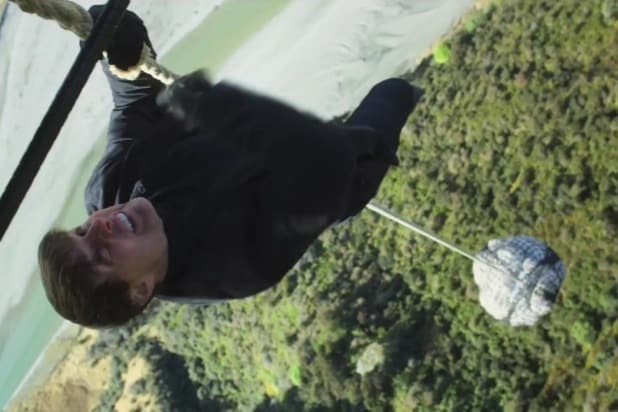 In an interview for the film’s upcoming Blu-Ray release, Cruise’s leading lady in the film, Rebecca Ferguson, discussed a scene where Cruise’s character, Ethan Hunt, dangles from the underside of a flying helicopter. Then, Ethan loses his grip on the helicopter, dropping onto a cargo load being lifted by the helicopter and grabbing onto it to avoid plummeting to his death in the canyon below. Ferguson saw Cruise as he did the fall and, not noticing that he had a safety harness, thought that he had just killed himself. “I heard myself scream. I actually thought he fell,” she said. “There was an audible gasp from the crowd. That’s a huge drop,” co-star Henry Cavill added in the Blu-Ray interview. What was worse for Cruise is that he shot that stunt five times, only to move on to another death-defying sequence in which he flew a helicopter through the mountains at low-altitude for a chase scene that required him to get dangerously close to another helicopter. Also Read: Did Tom Cruise Really Do All the Stunts in 'Mission: Impossible - Fallout'? Oh, and he also performed the highest free fall skydive ever filmed for a movie and broke his leg while jumping between buildings in London. 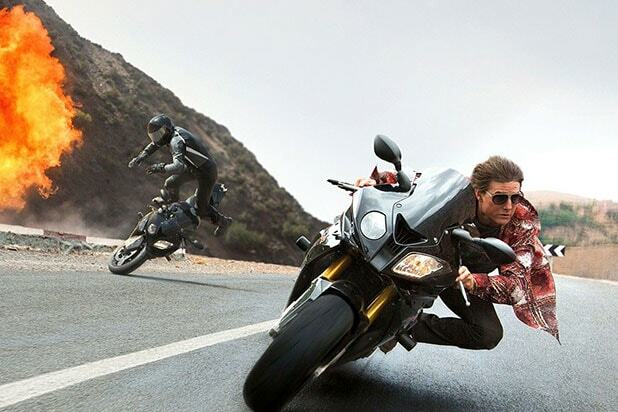 As we noted this past summer, you wouldn’t be faulted for thinking that Tom Cruise might have a death wish. “Mission: Impossible — Fallout” is available on Digital Nov. 20, and on 4K Ultra HD, Blu-ray and DVD on Dec. 4.